VICTORIA - To help make housing in overheated markets more affordable and available, the B.C. government is targeting property speculators, while making sure that over 99% of British Columbians will not pay the speculation tax. "Our government wants to make sure people who live and work here are able to find and afford a good home in their community," said James. "For too long, this housing crisis was allowed to escalate, and it has hurt working families, renters, students, seniors and others around the province. With this new tax, we're targeting speculation in the housing market and freeing up vacant housing to be homes for British Columbians." "The speculation tax focuses on people who are treating our housing market like a stock market," said James. "So people in smaller communities, those with cottages at the lake or on the islands, will not pay this tax. People with second homes outside of high-cost, designated urban areas will not pay the tax. We are going after speculators who are clearly taking advantage of the market, leaving homes vacant and driving up prices." 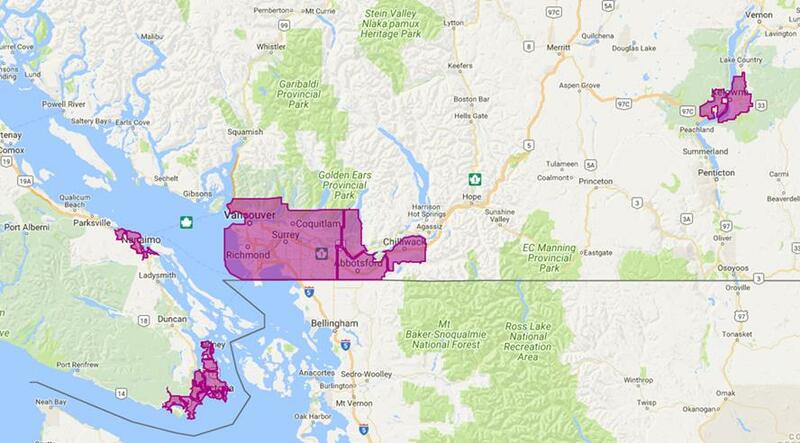 * A highly refined set of geographic areas in which the tax will apply, defined as: Metro Vancouver, the Capital Regional District (excluding the Gulf Islands and Juan de Fuca), Kelowna, West Kelowna, Nanaimo-Lantzville, Abbotsford, Chilliwack and Mission. * Details on the exemptions for British Columbians' primary residences and for qualifying long-term rentals. * A rate design that will see British Columbians who are subject to the tax, paying lower rates than owners from outside the province in 2019 and beyond. Canadians from other provinces will have a rate of 1% in 2019 and beyond, while foreign investors and satellite families will pay a 2% rate. "We have focused the geographic areas so this tax only applies in urban housing markets hardest hit by this crisis," said James. "With so many people desperate to find good homes in these urban areas, we need to take every step we can to free up and create more housing opportunities." * 0.5% for British Columbians who are Canadian citizens or permanent residents (and not members of a satellite family). There are exemptions for British Columbians' primary residences and for qualifying long-term rentals. * The owner or tenant is undergoing medical care or residing in a hospital, long-term care or a supportive-care facility. * The owner or tenant is temporarily absent for work purposes. * The registered owner is deceased, and the estate is in the process of being administered. * The speculation tax was announced as part of Budget 2018. * The B.C. government will introduce legislation this fall to enact the tax. * Over 99% of British Columbians are estimated to be exempt from the tax. Urban centres throughout the province are in a housing crisis. Rents and home prices have surged past local incomes and, in many communities, vacancy rates sit close to 0%. Speculation has contributed to runaway prices and made it difficult for British Columbians to find a home they can afford. This is hurting people, businesses and communities. The speculation tax works to ensure that British Columbians can afford to live in their own province. It will push speculators out of the housing market, and help turn vacant and under-utilized properties back into homes for people who live and work in our province. The tax will work to increase the supply of available housing in designated urban centres, helping to ensure our teachers, carpenters and small business owners can live where they work. The tax is designed to capture foreign and domestic speculators, satellite families who live in B.C. but do not pay their share of income taxes, as well as homeowners who hold vacant property in designated urban centres. Over 99% of British Columbians are estimated to be exempt, because they will not have a vacant second home in the affected areas. The speculation tax applies to residential property in British Columbia's largest urban centres facing the housing affordability crisis. These are regions with low vacancy rates that are facing severe affordability challenges in which home prices drastically exceed local incomes. The tax applies in the Metro Vancouver Regional District, the Capital Regional District (excluding the Gulf Islands and Juan de Fuca), Kelowna-West Kelowna, Nanaimo-Lantzville, Abbotsford, Chilliwack, and Mission. Primary residences of British Columbians are exempt from the tax. Properties that are used as qualifying long-term rentals are exempt from the tax. Homes will need to be rented out for at least three months to qualify for an exemption in 2018. Starting in 2019, homes will need to be rented out for at least six months, in increments of 30 days or more, to qualify for an exemption. Over 99% of British Columbians will be exempt, because the vast majority of homes owned by British Columbians in the province's urban centres will either be owner-occupied or will be rented long-term. In 2018, the tax rate for all properties subject to the tax is 0.5% on the property value. British Columbians who are Canadian citizens or permanent residents, and not part of a satellite family, will be eligible for a tax credit that is immediately applied against the speculation tax. This credit will offset a total of $2,000 in speculation tax payable. For homeowners with multiple properties, the tax credit will only apply to one property. This tax credit will ensure that British Columbians do not pay tax on a second home valued up to $400,000. For more expensive vacant properties, the credit ensures that tax only applies to the value of the property above $400,000. The speculation tax uses a targeted approach. It is purposefully designed to help bring housing stock onto the market in B.C. 's urban centres hit hardest by the housing crisis. People with homes and cottages outside the designated area do not pay the speculation tax. Foreign demand and capital continue to put pressure on B.C. 's housing stock. Foreign owners and satellite families - households with high worldwide income that pay little income tax in B.C. - will be captured by the tax and will not be eligible for a primary residence exemption. Foreign owners and satellite families can avoid the tax by renting their property. They will be able to offset a portion of the speculation tax with a non-refundable tax credit if they report income in B.C. British Columbians deserve to be able to afford a home, whether renting or owning, in their own province. The speculation tax primarily targets non-residents who own properties in designated urban centres and who do not rent them out at least six months a year. Canadians who keep their primary residence in another province can avoid the tax by renting out their B.C. property for six months of the year. They will be able to offset a portion of the speculation tax with a non-refundable tax credit if they report income in B.C. When a property owner holds onto vacant homes and benefits from rising property value, that is speculation. This behaviour is taking homes out of the housing market, driving vacancy rates lower, and making it harder for British Columbians to find a place to live. Those who own multiple properties in urban centres that they opt to not rent out or live in will be captured by the tax. British Columbians with vacant property in urban centres will be eligible for a non-refundable tax credit that offsets a total of $2,000 in speculation tax payable and is immediately applied against the speculation tax owing. For homeowners with multiple properties, the tax credit will only apply to one property.